And you thought communicating with your ex was difficult when you were married to him/her! You also thought that you would have limited communication with him now that you are no longer together. In the digital age we live in, there are even apps to help you communicate with your ex. My relationship with my ex, at the moment, has not caused me to need a digital app. In the beginning, I asked myself "do we really need to communicate? Isn't that part of the reason we got divorced?". Having children together means that, yes, you MUST continue to communicate. The reasoning behind the divorce no longer matters but the children that still must be raised are common denominators between the two of you. Maybe you tried co-parenting and could not make it work and you've landed in parallel parent land. Parallel parenting is all about setting boundaries, detaching yourself from your spouse in order for the both of you to parent the child(ren), separately. The two of you have acknowledged that you just don't get along and no longer want to create a toxic environment for the children. As a result, communication is limited because the objective is to avoid conflict with your ex at all times. So, what does communicating with an ex look like in a parallel parenting world? The parenting relationship must be treated like a business relationship. Straight and to the point. State the facts without emotion. Sounds hard, right? Imagine having to interact with your boss at work. 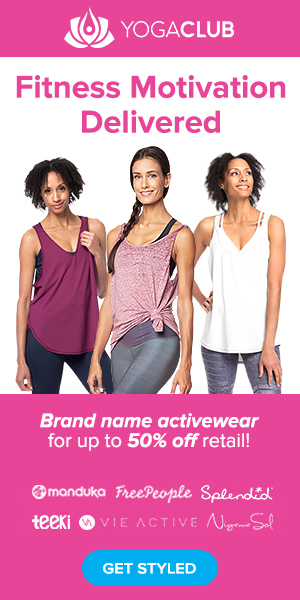 If you are your own boss, imagine conducting business with a client or business colleague. Now, whenever you communicate with your ex, imagine yourself in that same type of setting. This is tough in the beginning because it feels a bit abnormal to communicate in this way with someone you used to actually like! At some point in time, you and this person got along and took the time to create a human being. But as we all know, life happens and for whatever reason, the two of you decided to divorce or end your relationship. The end of a relationship, in many cases, changes the dynamic of how the two of you relate to each other. Especially if you don't get along and every interaction is mixed with conflict. Got a Dr. Jekyll/Mr.Hyde type of ex? Be consistent. Do not waiver from conducting the relationship in a business manner. What if you are the Dr. Jekyll/Ms. Hyde? The point is not to trap your ex into sending incriminating emails for you to use against him in court. Communication will be conducted through email. Using emails to curse your ex is not allowed! Just as you would not (hopefully) curse them in person, emails are not the proper channel to release your anger. A key to parallel parenting is to control your emotions** rather than let them control you. Be sure to avoid using words that accuse or judge. Sure, it would feel so good to tell him what he has not done or needs to do but that feeling would not get you good results. How would you feel if you had conversations with your ex and they always pointed the finger at you? Even if your ex isn't doing what you feel they should be doing, you should not be the person to point that out. Your ex has a mama and it's not you. Remember, you can only change you. "So, if I can't cuss him out, what am I gonna put in this email?" Funny, right? You probably never thought that you would need an email template to communicate with someone you used to be close to. This is parallel parenting. 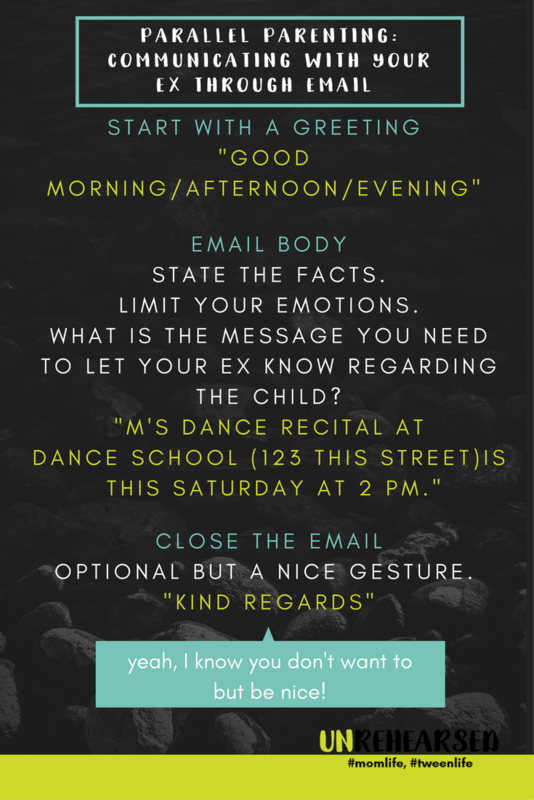 Following this template has helped me show restraint and just provide what was necessary to keep my ex updated on our child. The template allows you to avoid writing novels, you know, those long emails that can lead you away from what you originally intended to say. Don't worry if your ex doesn't respond to your emails in a timely manner or not at all. You've done your part, which does not involve bending over backward to alter what's in the custody agreement. **Emails can be used against you, don't let your emotions get you in trouble. The children will not be used as messengers. Haven't they been through enough already? In no way shape or form is it ever ok to send messages to your ex through your children. They don't deserve to be caught in the middle of something that should be between two adults. 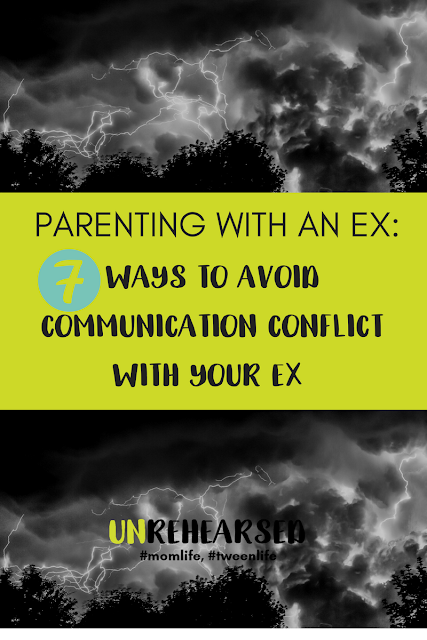 If your ex chooses to send messages through the children, you must address this with him. Sure, there are chances that he will ignore you and continue. Sorry but you can't control him. If your children are old enough, have a conversation with them about how it is not their responsibility to deliver messages from your ex. Give them a script to follow if it happens again, such as "Dad/Mom, it's a good idea if you told mom/dad that.". 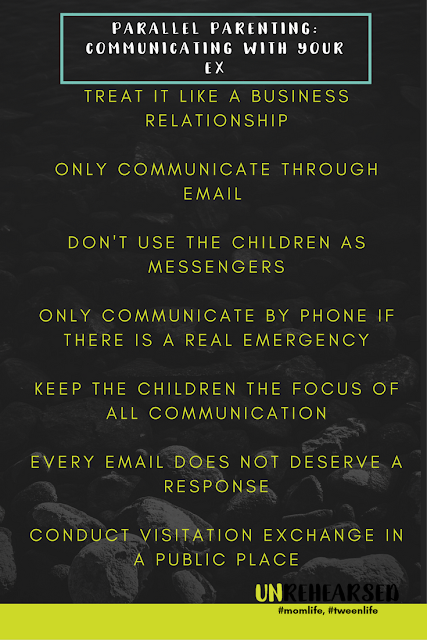 Make sure that you aren't the one having the children delivering messages that you should have sent through email. Use phone communication ONLY in cases of real emergencies. Remember, your relationship is different now. Long gone are the days when the two of you could have a casual phone conversation, where you could be relaxed and say whatever came to mind. Don't put yourself in a position to say things that you may later regret. Emergencies are those instances where your child gets hurt or there are changes in his/her health that are of immediate concern. Hopefully, your ex is practicing this same method and not calling you to discuss his personal life. If not, hang up! 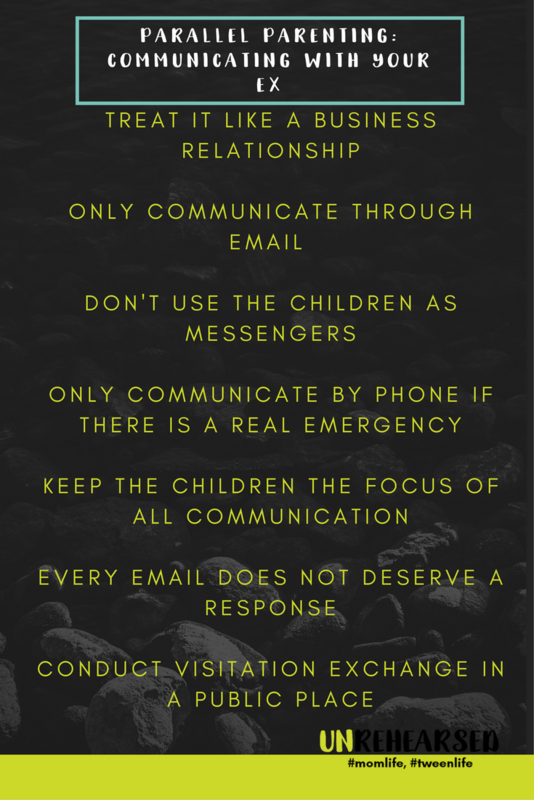 Keep the children at the focus of ALL communication. Sharing your personal information is prohibited. Parallel parenting means that you have let go of how your ex lives their life and who they decide to share it with. You have your own life and it is your own, there is no need to share your stories of your new found love bliss with your ex. The only disclaimer to not sharing your personal information with your ex is this: you have decided to remarry. Your ex deserves to know this because there will now be another person in the child's life. "Well, he didn't tell me about moving his new girlfriend in!". Remember, though, you can only control who? You. So, what types of information will you share when communicating with your ex? What if it's your ex that's sharing details about his personal life with you? Don't listen! 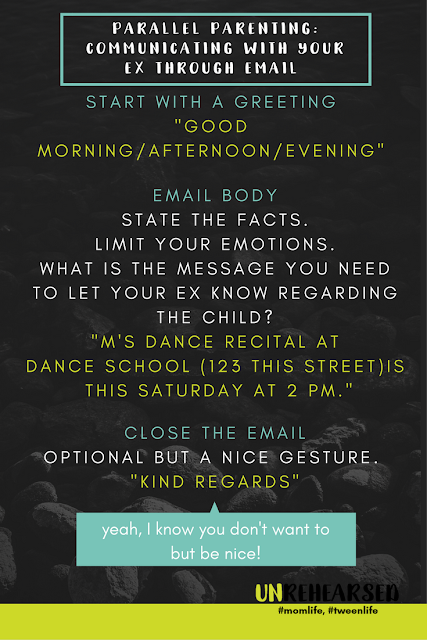 Respond and let him know that any communication between the two of you will only be about the children. Yes, it may get tempting to listen to the troubles he's having at home but you are not in that business anymore. Every email does not deserve a response. If you've been parallel parenting for any length of time, you have probably received an email from your ex that passes so much judgment on your parenting skills that you wonder if your ex has donned a black robe and became a Supreme Court justice overnight! Regardless of he did or not, you cannot respond. Re-read the email to look for any questions based on facts that need a response. For instance, if your ex asks a question regarding if you have received the child's report card or what time the recital starts. Be careful of giving responses when your ex asks "how can I help?". That type of question can sometimes open the gateways for your ex to "prove" just how active he is in the child's life. It is not your responsibility to provide a parenting outline on how he should "help". This can be tricky because though there are circumstances when you do want to give helpful suggestions, true parallel parenting says that the two of don't necessarily have to align your parenting skills. 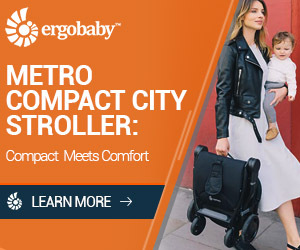 Your response will depend on if the two of you are good with sharing parenting tips with each other without judgment. Remember, it's not a matter of how much or how little your ex is doing. The focus is parenting the children. Be confident in who you are as a woman and a mom. Oh, one more thing. Don't feel pressured to quickly respond to emails. Again, no worries if your ex doesn't respond to your emails, you've done your part. Hopefully, if you've reached the stage of parallel parenting, the visitation exchange is outlined within the custody agreement. It is best to conduct visitation exchanges in public place in order to avoid conflict. Having other people around lessens the chances for you or your ex to create a chaotic scene. Currently, I meet my ex at the same public place for visitation exchange. It should take the two of you the same amount of time to arrive so that no one person is driving farther. In a perfect land, parents could agree to have the custodial parent drop the child off at school. The non-custodial parent would then pick the child up from school. This is a beautiful situation because then you would not have to even see your ex! The parallel parenting method of communicating may seem a bit "stiff" for some people. My husband doesn't understand how or why I choose to communicate this way with my ex. I choose this method in order to save my sanity and to better equip myself to parent our child. There are instances when I start writing or responding to an email to or from my ex and I have to save the draft because it's full of emotions. My focus is not on if my ex cares about my emotions or not. My focus is doing my part of communicating information related to our child. If you parallel parent, download a copy of Parallel Parenting: Communicating With Your Ex. Don't get caught sending emails you might regret! What's the craziest thing you've ever written in an email?